A new tool, developed by the Chesapeake Bay Foundation and N-Print scientists, shows residents of the Chesapeake Bay Watershed how their lifestyle choices affect their Bay nitrogen footprint. A beta version of the updated nitrogen footprint tool is now available! This update includes questions about organic food, a simplified food entry option, and information about whether your nitrogen footprint is made up of "new" or "recycled" nitrogen. Welcome to the N-Print website! Reactive nitrogen is vital to human life; it is necessary for food production and it is also a by product of energy consumption. Too much reactive nitrogen in the environment causes a cascade of environmental problems that negatively affect human health in addition to the environment. 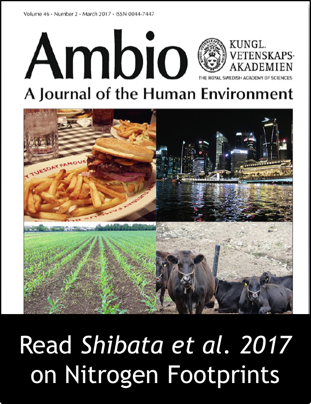 Small changes in lifestyle choices can have a big effect on your nitrogen footprint and your impact on the environment. What types of nitrogen footprint tools are available? 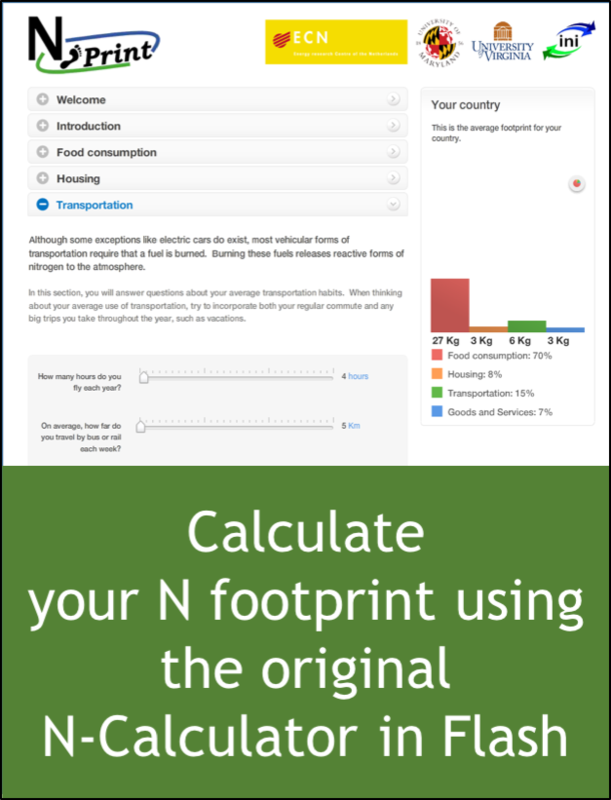 Use the N-Calculator to calculate your personal N footprint. 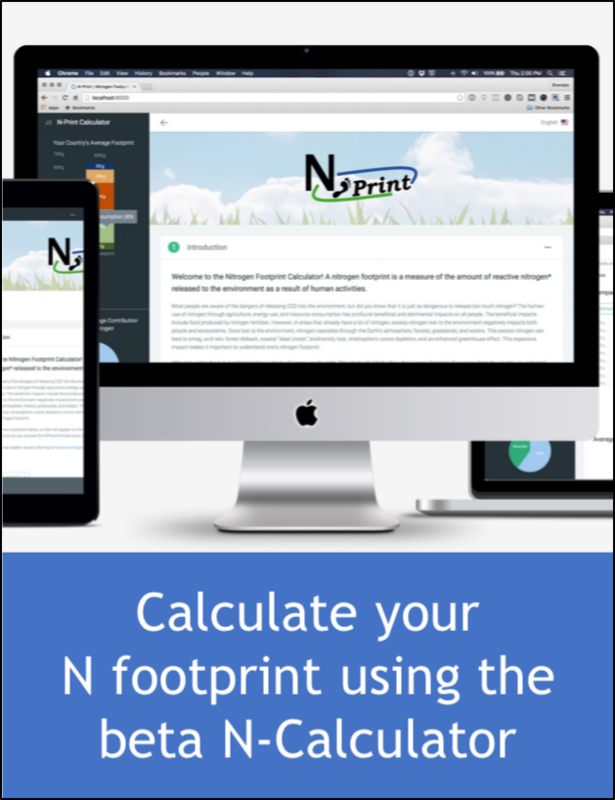 The N-Institution tool is being designed to help universities and other institutions calculate and reduce their nitrogen footprints.